Gloomth and Haute Macabre Contest! 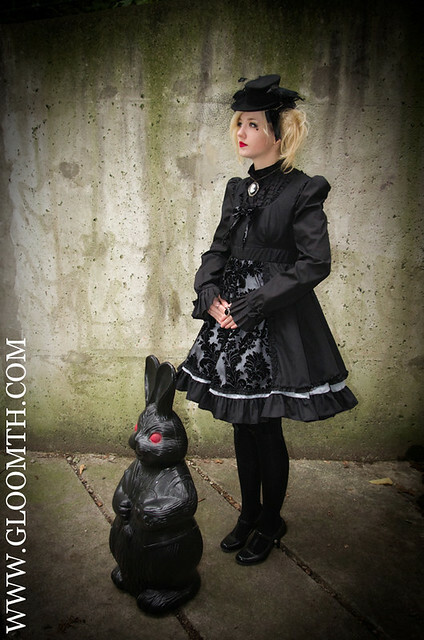 In case you didn’t know this already, Haute Macabre is one of the loveliest gothic/alt fashion blogs out there! It’s carefully curated blend of high fashion and street style is truly unique. February has been a busy month here at the ‘Cult for contests! We’ve hosted 2 of our own giveaways and contributed a great prize for Haute Macabre’s newest contest! You can win a $75 Gloomth gift certificate good towards anything in our shop right there in the feature Haute Macabre wrote about us! Just go and comment with your favorite item from our catalogue and the winner will be randomly chosen and notified.